1. Make your own 30 second homemade movie on your phone, video camera, cine camera, whatever. 3. 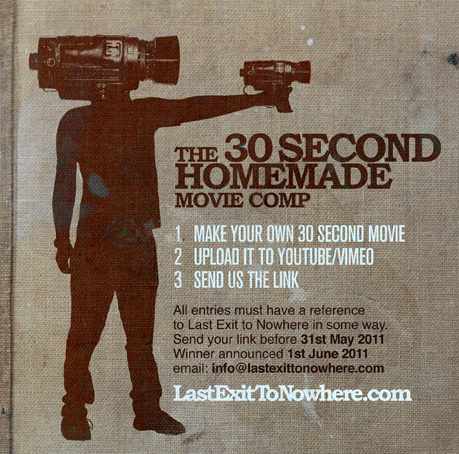 Send the link to us: info@lastexittonowhere.com before 31st May 2011 – All images must have a reference to Last Exit to Nowhere in some way. The Winner will be announced 1st June 2011. Good luck! Aaaaaand, action!